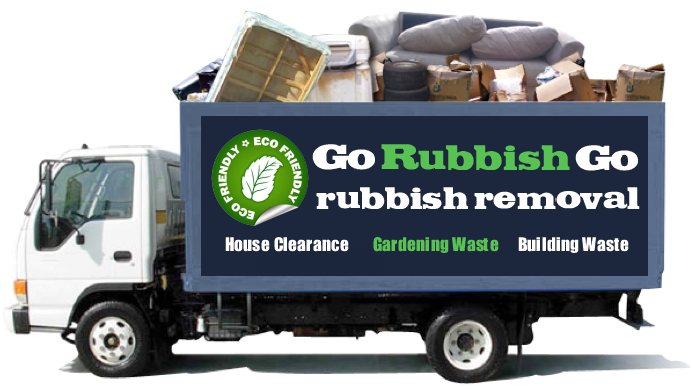 Go Rubbish Go is the only company that you need to call if you want to get rid of rubbish, clutter or waste. With years of experience and lots of rubbish removal Belvedere services available, we make the perfect choice if you want a mess-free property. We’re able to take care of your Belvedere rubbish clearance whether you need us for your home or office, and with guaranteed results and a focus on providing the best in customer service, our friendly and talented teams are just waiting to help you! Save time and effort by choosing our specialists to clear your property in no time at all. Act now and make your booking today by giving us a call on 020 8610 9182! Our amazing services aren’t just the best in the area – they’re also some of the most affordable! Caring for your home can be expensive, but if you choose us for your rubbish removal then you won’t need to think twice about the cost. All of our prices are budget-friendly and competitive, with special money-saving offers and discounts regularly available. Your waste disposal in DA17, Belvedere can be taken care of quickly and cheaply, with excellent attention to detail and affordable rates you won’t find anywhere else. See how much you can save by calling now to get yourself a free price quote on 020 8610 9182! What Makes Us The Best Belvedere Waste Removal Company? There are lots of things that make us a firm favourite among our clients, from our commitment to providing the best customer service to our friendly and highly skilled teams. 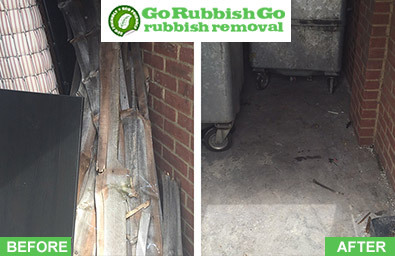 We only work with experts in rubbish removal, ensuring you get the high-quality service that every one of our clients deserves. All of our services include safe and speedy rubbish disposal DA17 as well as collection, meaning you won’t need to worry about your waste for even a second. 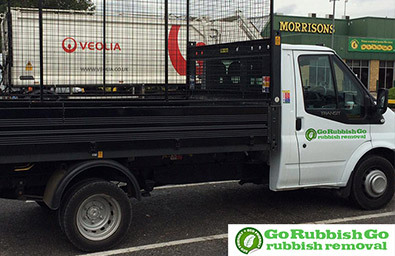 Go Rubbish Go guarantees amazing results and services that won’t let you down. Avoid the hassle and book now by calling us on 020 8610 9182! I hired this company after reading lots of good things about them online. I thought they seemed like the right company for me because they had a clear focus on being eco-friendly – something which is important to me! I called them to ask about their services in Belvedere, DA7 and was quoted a very cheap price from a friendly and caring staff member. 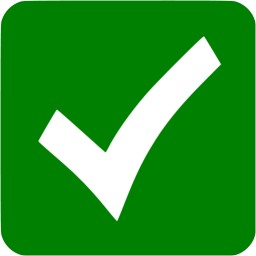 After booking my needs were taken into account and the service was top-notch – very fast and friendly. 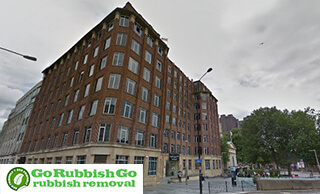 This is a great waste disposal company and I would fully recommend them! There’s nothing worse than finding the service you need that’s completely unavailable! At our company we put our customers first, offering fast and flexible rubbish removal help for even the most hectic of schedules. With evening, weekend and Bank Holiday services available for excellent rates, and with same-day help for life’s little emergencies, we make the best choice for your DA17 waste clearance. Our fast services are designed with you in mind, and whether you’re always at the office or always with your family, we’ll easily fit into your life so that you won’t need to worry. Find a time that suits you and book with us today to avoid disappointment! Clearing the rubbish from your office, home or garden can be a big job – especially if you don’t have the expertise or knowledge! By hiring us you’ll see brilliant results, with Belvedere waste collection services that include the collection of your waste, as well as the disposal too. We strive to be an ethical and conscientious company by providing waste removal Belvedere, DA17 services that won’t harm the planet unnecessarily. Our commitment to eco-friendly disposal means that your goods will always be carefully and properly disposed of, using greener vehicles and our experience. Go greener and hire our company in DA17 by calling 020 8610 9182 now! Belvedere is part of the London Borough of Bexley, found around twelve miles away from Charing Cross. The area is roughly split into two parts: upper and lower Belvedere. The former is known for its fine houses and Victorian and Edwardian architecture, as well as its excellent pubs, restaurants and high-end shopping experiences. Lower Belvedere is somewhat more industrial, though is home to a number of local landmarks including a chapel and a Sikh temple. The area features Free Grace Baptist Church and Belvedere Congregational Church. Belvedere is well-served by public transport thanks to the Belvedere railway station, along with many bus routes and services.